Getting the right speed for your mouse scroll wheel is almost as important as getting the right cursor sensitivity for the mouse itself. 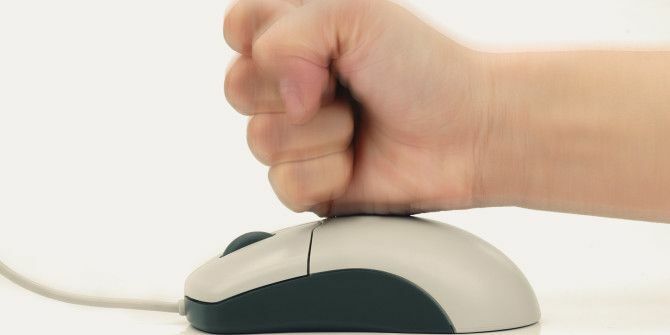 Too slow and you could get repetitive stress injuries in your wrist 5 Reasons Working With Computers Is Bad For You & How to Stay Healthy 5 Reasons Working With Computers Is Bad For You & How to Stay Healthy Working on the computer may sound like the most relaxed job in the world, but it's quite the contrary. It's very tough on your body, which is not used to this modern type of work.... Read More . Too fast and it’s just plain uncomfortable to use. Fortunately, this issue is really easy to fix in Windows 10. Open the Start Menu, type mouse, and select the option that opens the Mouse & Touchpad Settings. You could get to the same place by opening Settings and navigating through it all, but this is faster and easier. In the Mouse & Touchpad Settings, scroll all the way to the bottom and click on the link labeled Additional Mouse Options. This opens a window that you might be familiar with from previous versions of Windows. Go to the Wheel tab and change the number under Vertical Scrolling. A lower number is slower scrolling while a higher number is faster scrolling. I like mine at 3, which is the default, but feel free to set it to whatever you prefer. How slow or fast do you like your scroll speed to be? Tell us in the comments below! Explore more about: Computer Mouse Tips, Windows 10.